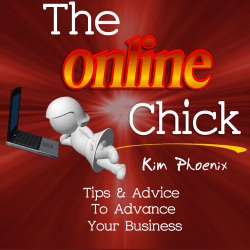 Probably one of the things that held me back from starting my business online was not knowing how to create and update my website. I found the way websites worked fascinating, but it took me a while to find training to help me. Fortunately, after a lot of searching, I found training that taught me how to do this using the free blogging platform, WordPress. The training website where I learned this still exists, but it is no longer updated by the owner, so I can not recommend it to you in good faith. That is why I’m always excited when I hear of people that offer current WordPress training. You may hear some people tell you that you do not need your own website as you can use a free platform like Blogger. However, that is not recommended. Case in point. I have been searching for a virtual mailbox service in recent days. In case you didn’t know this, there are a lot of U.S. sites that offer these services, but much less Canadian ones. The only ones that I could find with Canadian addresses had a bunch of extras that I don’t need – like receptionist services, a special phone number, etc – and come with hefty prices. I finally came across one site that appeared to offer what I need – a Canadian address without all the extras and at a reasonable price. However, do you want to know what kept me from pursuing this site further, other than not having all the information I would expect to find on this kind of site? It was the fact that it had the Weebly branding on the bottom right hand of the page. Now, I’m not an expert in websites made with Weebly, and this is not to knock Weebly (or you if that is what you use) as that is a good start. However, from doing a search on the Weebly website, it appears that you have to get a paid account so that you do not have the Weebly branding on the bottom of the site. The address site looked amateurish to me, making me wonder if I could trust the people behind it. So this is always something to keep in mind when it comes to getting/creating your own website. You may even hear other people tell you that you do not need your own website. There are all sorts of courses online that will teach you how to sell without your own website. Again, I am just not comfortable with this. Just like you have a home address, you want to have an online address – a place where people can visit you, learn about you, and develop trust with you. After all, people want to do business with people they like, know, and trust. Having your own website gives you the opportunity to connect with your audience. Wordpress.org (I’m not talking about WordPress.com) allows millions of businesses to have an online presence, and makes it relatively easy for the non-technical person to create (although you can outsource this) and update his/her site. At the current time, there are two trainings that I know about that can help you with this. They are trusted sources that I have known for several years now, and feel good recommending to you. (1.) Lynette offers some FREE WordPress Training tutorials, which can give you a start. (2.) Angela offers paid WordPress Training, and from what I have heard, she is one to get her hands dirty and really help you if you are struggling with something. The price she charges is so inexpensive. I paid 4X as much with the course I took in the past. I know Angela from the Solosmarts forum, where a number of smart business people (mainly women – but it’s also open to men) seek, share, and discuss business strategies. So what are you waiting for? Having your own website with WordPress AND knowing how to use WordPress, were two of the best business decisions I ever made and that I recommend for you. If you want a full listing of all the Tools I Use/Recommend, I have updated it here. Check back occasionally as I change it as I learn of new resources or as resources change.